The Solid Cedar Top line features Acacia back and sides with a Padauk rosette and binding. Cedar has gained in popularity due to its soft, lush tone. 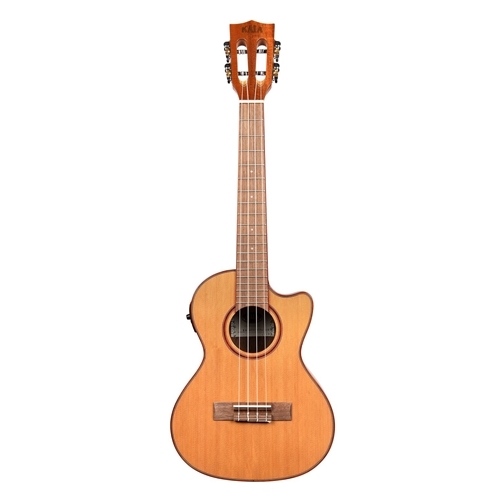 The Solid Cedar Top lends well to finger style playing. Kala UK-300TR Electronics.